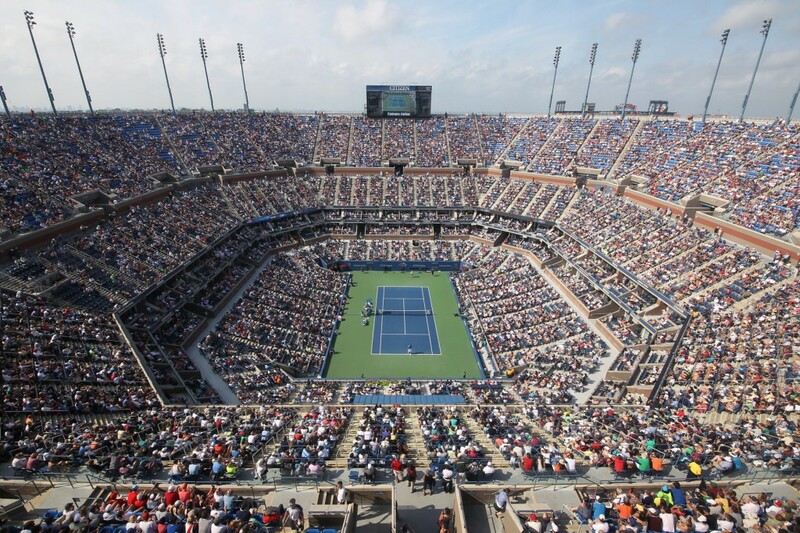 As the surface provider of the US Open Tennis Championship, you can only imagine how exciting these two plus weeks are for us at California Sports Surfaces and DecoTurf®. The world finally gets to see our famous blue and green courts in action on the main stage. It’s our highlight of the year. To help celebrate we put together a very brief history of the Surface of Champions. Did you know the first tournament was played in 1881? 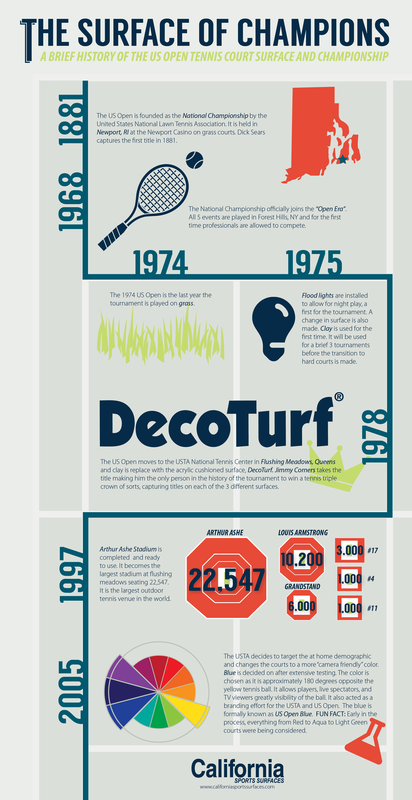 Or that DecoTurf® has been the surface provider since 1978? Well what about the first 100(ish) tournaments? What were they played on? To answer these and other burning questions you may have please enjoy this infographic outlining a brief evolution of surface and venue of the US Open. We hope you enjoyed this brief history of the Surface of Champions. If you are looking for more tennis history, industry news, or court color discussions follow us on Facebook! US Open photo credit: Louie Lu. US Open Blue is a trademark of the USTA. This entry was posted in DecoTurf®. Bookmark the permalink.